Every property comes with a long list of chores but some are easier than others. 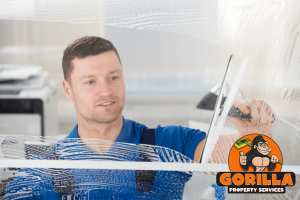 When it is time to scrub your windows clean, you are up against heights, fragile surfaces and improper cleaning supplies. Instead of contending with all of these issues, have someone else to it for you. Our Gorillas are always available for your Blackfalds window cleaning, so you don’t have to choose between results and inconvenience. You windows are constantly collecting new types of debris. Every day brings out new material to contend with, so it can be hard to keep up! Bad weather, changing seasons, salt, dust and organic debris can all leave their mark on your windows. In addition to looking awful, this build-up can damage windows over time. A bit of preparation can save you big time in the long run. Why bother repairing or replacing windows when you don’t have to? 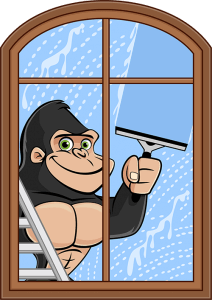 When you want to get the full lifespan out of your windows, call a Gorilla for your Blackfalds window cleaning. Our Gorillas set themselves apart from the competition with a combination of training, technique and customer service. Over the years, our Gorillas have picked up more than a few tricks of the trade. The first of these is that friction is not always our friend! Instead of scrubbing at windows with basic cleaners and towels, our Gorillas use rubber tools. By using rubber instead of paper, our Gorillas eliminate static cling that can attract airborne materials. This can make windows look dirty even immediately after a cleaning. For those windows that are out of reach of our paws, water-fed poles are put to use. 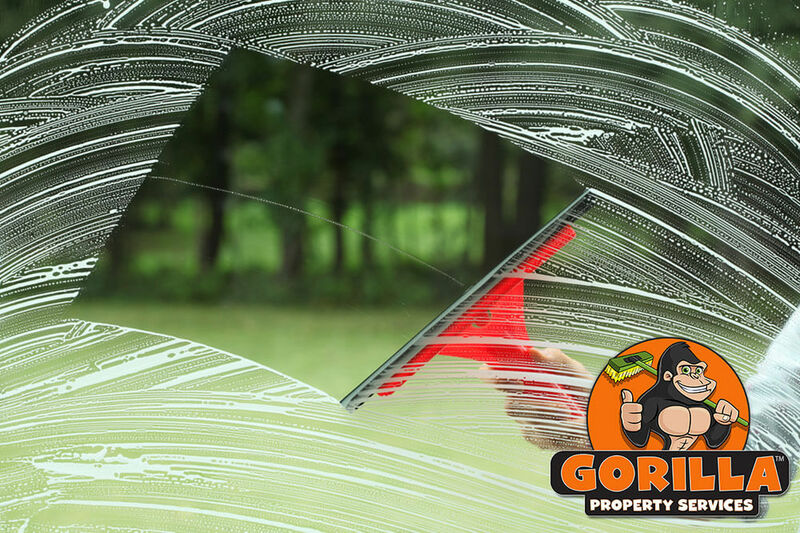 Gorilla Mobiles are equipped with mobile water sources and Tucker Poles which enable cleaning on windows up to four storeys.